After four novels (Vinegar Hill, 1994, etc.) 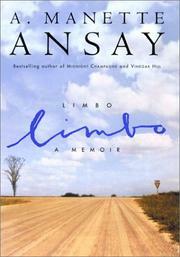 and one story collection, Ansay debuts in nonfiction with a thoughtful memoir of affliction and redemption. Ansay trained throughout childhood and adolescence to become a concert pianist, but by the time she was 20 her ambition was thwarted by a paralyzing illness that left her unable to walk—or to play. Doctors were mystified by her condition, which may have had something to do with an on-and-off bout of strep throat but certainly wasn’t helped by a punishing routine of musical training. (“Injuries were commonplace,” she writes, “particularly among pianists, particularly among female pianists. A girl one floor down from me fractured her arm landing a Beethoven chord.”) Confined to a wheelchair for the past 15 years, Ansay has transferred her energies from music to writing, becoming a favorite of Oprah and midwestern booksellers alike. Her memoir touches on these matters, but it spends greater time exploring, with considerable grace and clarity, matters of the spirit. Purgatorial lessons such as hers are taught, she writes, because “God is simply testing you, testing the condition of your Faith.” As she revisits her own suffering, she recalls that of her mother, who grew up working in the fields before the age of seven but spent her Sundays singing in the choir. Though she occasionally slips into self-indulgence, Ansay shies from self-pity. Indeed, most of her madeleines are recalled in fine humor, as when she recounts her first childhood lesson in learning how to lie: “At school, if somebody asked what I’d had for breakfast, and I’d had eggs, I’d say, ‘Cereal.’ Why? Just because I could.” That’s an essential talent for a writer, of course, and Ansay has cultivated hers well. A graceful, wonderfully written memoir that’s sure to please Ansay’s fiction fans—as well as readers of confessional and inspirational literature.